We are a 100% equine practice with a reputation for offering a high quality professional service. Mr. Conor Fenelon MRCVS assisted by Miss Despoina Christodoulidi MRCVS currently run the main Equine clinic, based near the village of High Easter (between Chelmsford and Great Dunmow). Both Conor Fenelon (personally) and the Acorns Equine Clinic have been nominated for the annual Pet Plan Awards every year since they started. We have a branch practice based at Hastingwood House, near Harlow. Despite our rural location we are ideally placed to be able to provide a local service to horse owners anywhere in the Essex /east Herts areas. This especially applies to the areas in or around the towns of Bishops Stortford, Braintree, Chelmsford, Epping, Great Dunmow, Harlow and Ongar. 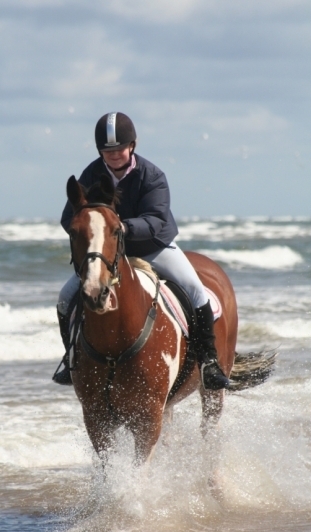 We take pride in the fact that our trained support staff are all animal lovers who own their own horses. We offer a friendly, personal service and always try to treat both our clients and their horses as individuals. You can be assured that your horses will be treated by a practice, that has come to know both you and your trusty steeds personally. If you would like to discuss how we can help you and your horses, to meet our staff, or to view the practice facilities, please feel free to contact our receptionists on the telephone numbers above. Please note than we can arrange 'routine' veterinary consultations on saturday mornings or in the evenings by prior appointment. 09.00 and 17.30 (Mondays - Fridays). We run emergency clinics at all other times.